Out of all the entertaining ads that played during Super Bowl 53, there’s only one commercial that I woke up thinking about the next morning: Pepsi’s “More Than OK”. “More Than OK” poked fun at how Pepsi usually takes a back seat to Coke, especially at restaurants. And by featuring a star-studded cast that included Steve Carell, Lil Jon, and Cardi-B (who hilariously and fervently backed up Pepsi’s OKness) their boldness to call people out for undermining Pepsi’s quality got a lot of laughs and persuaded a massive audience to reconsider their own perception of the soft drink. As marketers, we know that if we want to persuade an audience, we need to evoke an emotional response from them. But how do you actually do that? Below, we’ll examine six persuasive advertising techniques you can use in your advertisements, five examples you can reference if you ever need some inspiration, and three informative advertisement examples that are surprisingly just as compelling as the persuasive advertising examples. Humans are hardwired to move towards pleasure, like a horse towards a carrot, and away from pain, like a donkey avoids a stick. When people read or watch your advertisements, “carrots”, or promises of gain, can fill your prospects with hope and compel them to pursue that potential feeling of pleasure. “Sticks”, possibilities of loss, evoke fear in your prospects, which will compel them to flee from that potential feeling of pain. Both tactics can pull your prospects into a narrative and evoke emotions that inspire your desired action. Carrots, like a product’s benefit, entice people to take a desired action. Sticks, on the other hand, like anti-smoking campaigns, evoke fear in people to stop doing a certain action and start doing the alternative. To better understand how to craft advertisements that feature a carrot or stick, check out these insurance copywriting examples below. As you can see, Geico’s ad uses a small time investment that could potentially produce big gains as a lure to get you to buy their product. Conversely, All-State’s ad uses the character “Mayhem” to evoke fear into people to stop using their “inferior” insurance and start using All-State’s. People value objects and experiences that are rare — having something that most people want, but can’t have, boosts our sense of self-worth and power. If you use words and phrases that imply scarcity and evoke a sense of urgency, like “Exclusive offer” or “Limited availability”, you can skyrocket your product’s perceived scarcity and consumer demand. To immediately hook people and persuade them to read or watch the rest of your advertisement, try sticking to only one message. Spotlighting your product or offer’s main benefit or feature will make it easy for your customers to understand its value and increase the likelihood of their conversion because you’re only conveying one message to your audience: your product’s main feature will benefit your customer’s life somehow, someway. Since your prospects primarily care about how you can help them, and pronouns like “you” and “your” can engage them on a personal level and help them insert themselves in the narrative you’re creating, writing advertisements in the second person can instantly grip their attention and help them imagine a future with your product or service bettering their lives. According to a research study conducted by three psychology professors at Rutgers University, the need for control is a biological and psychological necessity. People have to feel like they have control over their lives. If you want to give your audience a sense of control, you need to give them the ability to choose. In other words, after reading or watching your advertisement, they must feel like they can choose between the option you suggest or another path. If they feel like you’re trying to force them to buy your product, they’ll get annoyed and disengage from your message. To give your audience the ability to choose, and in turn, a sense of control, use phrases like “Feel free” or “No pressure” in your advertisements, like this example from Hotwire.com below. Call-to-actions are crucial for getting prospects to take the next step, but a “Download Now” or “Call Now” CTA isn’t always going to convince the more skeptical prospects to take your desired action. You need to make sure your ad’s last line of copy or quip is the best of them all. Showing — not telling — your audience about your product’s benefits is one of the best ways to capture attention and get an emotional response. 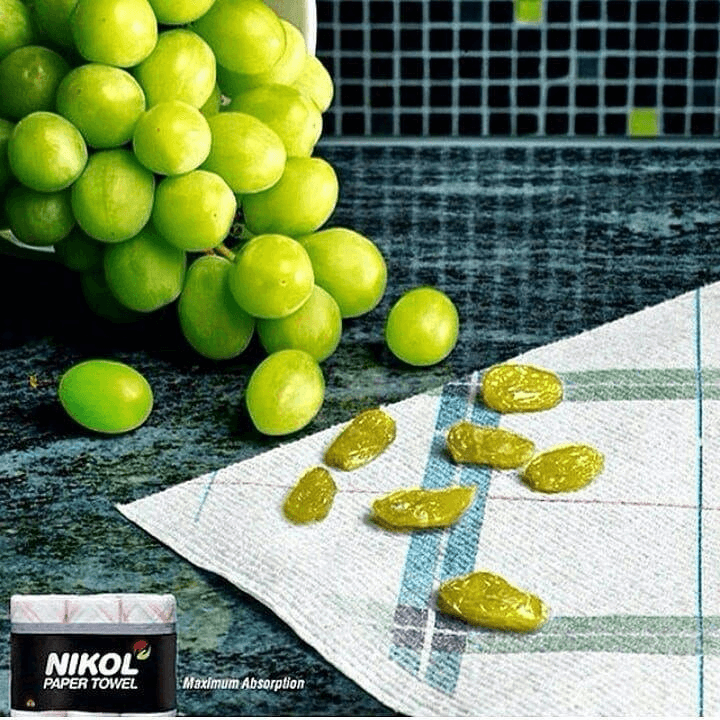 Obviously, Nikol’s paper towels can’t actually turn grapes into raisins, but this ad highlights the product’s absorbent powers in a such a clear and clever way, they didn’t need write a single line of copy. In relation to food, the word “hot” has multiple meanings: having a high temperature and being spicy. 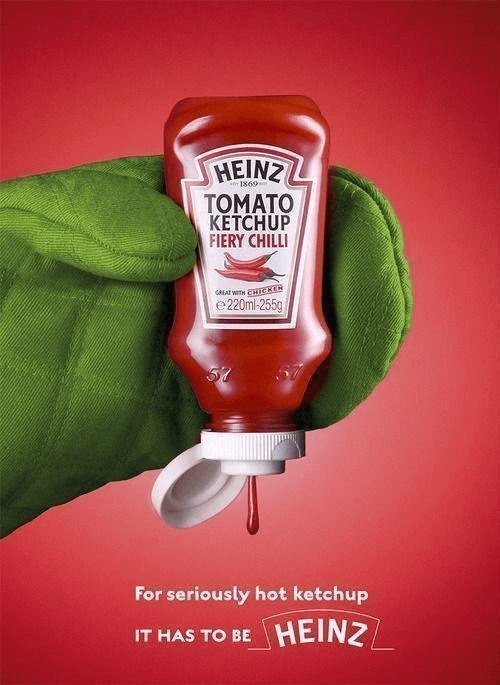 Heinz brilliantly used the connotation of high temperature to highlight the spiciness of their ketchup, and their creative method of communicating the value of their product helped them instantly attract people’s attention. 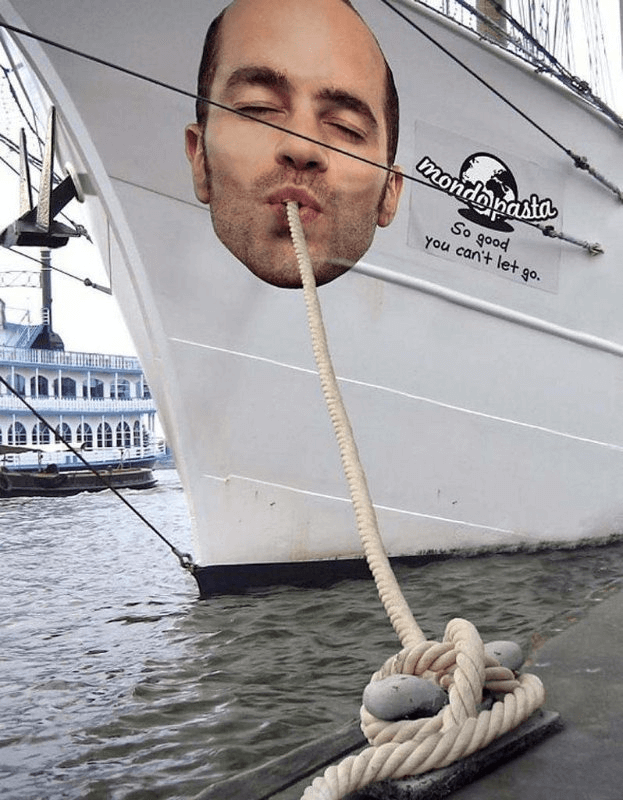 With this crafty use of guerrilla marketing, Mondo Pasta perfectly aligns their copy with their creative — the guy slurping the noodle literally “can’t let go” because its a rope tied to a dock. By designing such a visual, unexpected, and literal ad with a seemingly one-dimensional prop, people’s eyes can’t let go of this ad either. Another example of guerrilla marketing, Bic takes advantage of an unkept field to highlight the power of their razors. 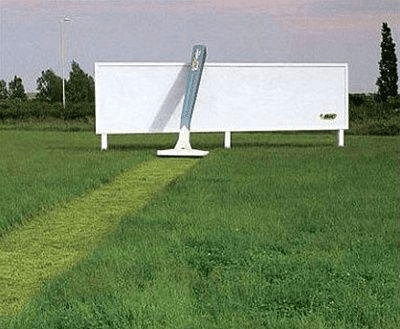 By just mowing a small strip of grass on a field, this ad is an unconventional, simple, and extremely creative way to catch people’s attention and spotlight a razor’s shaving capabilities. 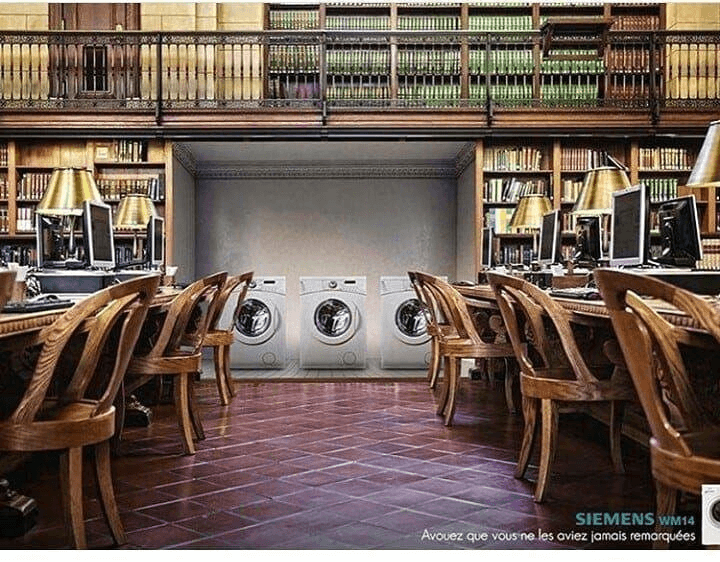 Siemens’ skillful ad shows the benefits of their product by unexpectedly placing their washers and dryers in a library to show you that they’re so quiet, even a librarian wouldn’t need to shush them. Compared to persuasive advertising, informative advertising focuses more on the facts, and less on emotions. It highlight how your product’s features and benefits solve your customers’ problems and can even compare your product to your competitors’ product. Although this type of advertising relies on facts and figures to trigger a desired action, the ad’s message is usually framed in a compelling way. Even though this ad might seem like it’s only aiming to evoke fear in its target audience, it actually leans on the facts to get their message across. 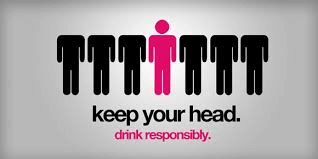 If you drink and drive, your risk of crashing skyrockets 11 fold. And by focusing on this alarming reality, this ad can persuade people to get an Uber or Lyft home after a night out instead of getting behind the wheel. After Bud Light took some jabs at Miller Lite for using corn syrup in their beer during their Super Bowl 53 ads, Miller Lite decided to throw a few punches back. 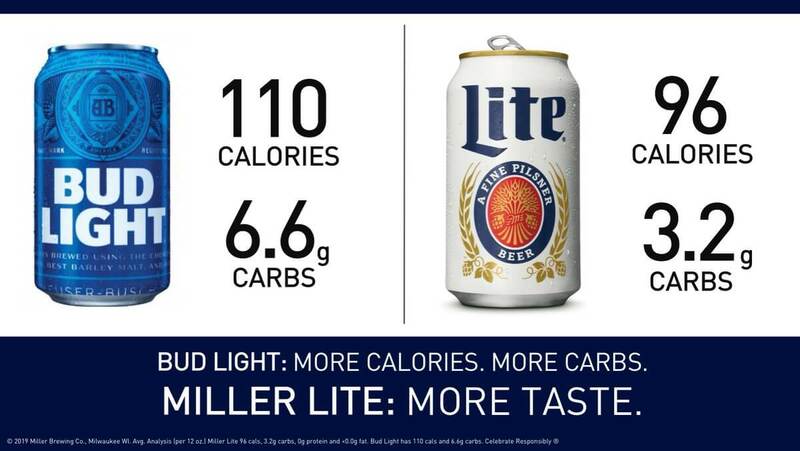 A day later on Twitter, they revealed that their beer actually has less calories and carbs than Bud Light, which helped them persuade people that drinking Bud Light and Miller Lite actually have similar health benefits. There’s an old folk tale that carrots can improve your eyesight, but science has actually debunked this myth. 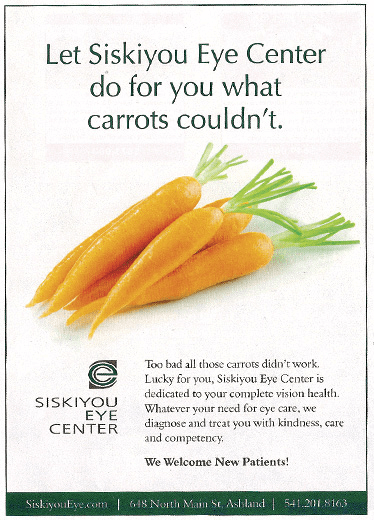 That’s why this Siskiyou Eye Center ad is such a creative informative advertisement. While it pokes fun at this common fable, it’s still relying on the facts of carrots not being able to improve your vision and the Eye Center’s ability to provide quality treatment for your eyes to persuade people to do business with them. Persuasive advertising vs. informative advertising: which one is better? Persuasive advertising and informative advertising definitely focus on different aspects of persuasion, but they still aim to achieve the same goal: convincing your audience to take a desired action. So whether you pursue one advertising strategy or another, remember that if you can trigger an emotional response, regardless of the stimuli, your ad will be a success.